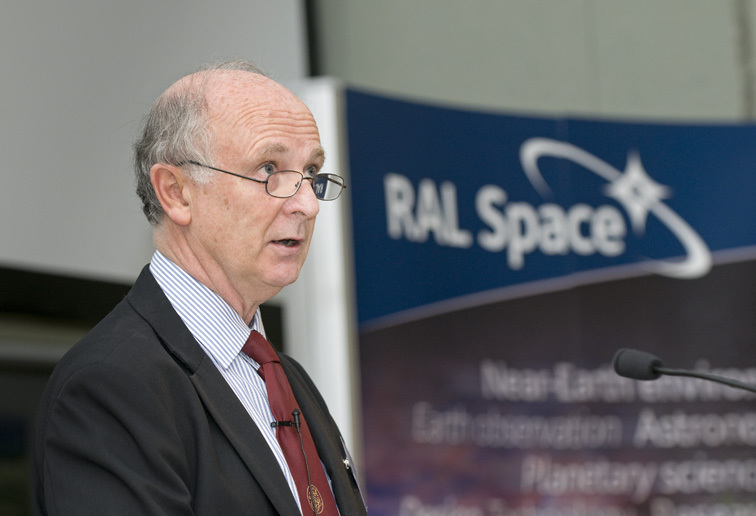 Professor Richard Holdaway will give the keynote presentation “What else does Space do for You!” at the AMSAT-UK International Space Colloquium at 1:30 pm on Saturday, July 25. RAL Space carries out an exciting range of world-class space research and technology development. They have had significant involvement in over 200 space missions and are at the forefront of UK Space Research. They have more than 200 staff who are dedicated to supporting the programmes of the STFC and the Natural Environment Research Council as well as undertaking a large number of space projects for UK and overseas agencies, universities and industrial companies. They work alongside the UK Space Agency who co-ordinate UK civil space activities. RAL Space undertake world-leading space research and technology development, provide space test and ground-based facilities, design and build instruments, analyse and process data and operate S- and X-band ground-station facilities, as well as lead conceptual studies for future missions. They work with space and ground-based groups around the world and have very recently opened a new test facility on their campus at Harwell. This is adjacent to the newly established European Centre for Space Applications and Telecommunications (ECSAT) which is ESA’s newest facility and its first in the United Kingdom. Richard Holdaway has had 40 years of experience in Space Programmes, having worked on numerous missions in Space Science and Earth Observation with NASA, ESA, China, Russia and the UK National Programme. He was awarded a CBE – Commander of the Order of the British Empire – in the New Years Honours List 2013; in recognition of his remarkable services to Science and Technology. 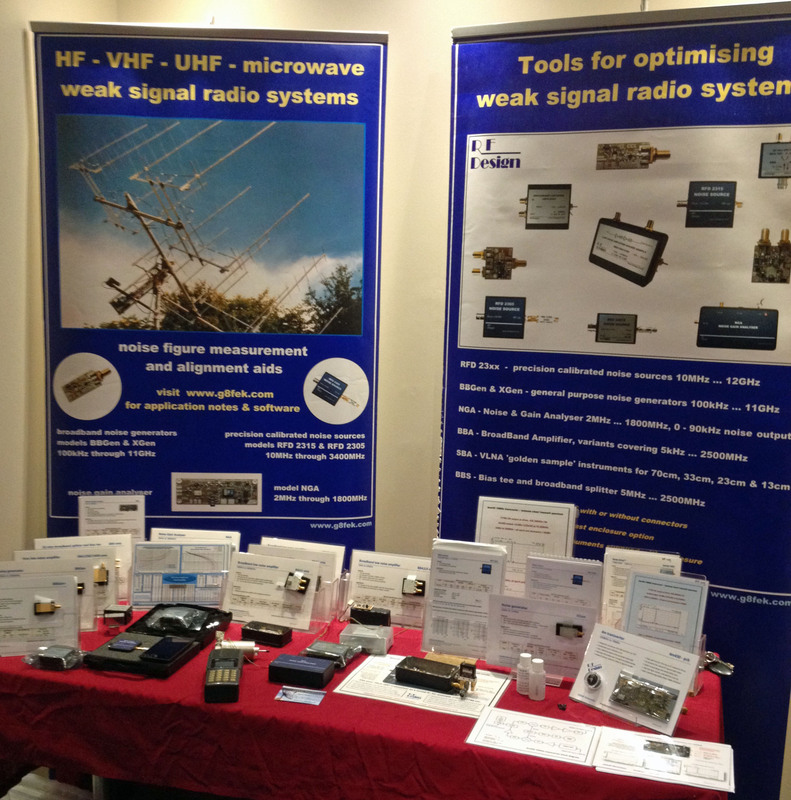 The RF Design stand of Kevin Avery G3AAF is a regular feature of the annual AMSAT-UK International Space Colloquium in Guildford and we were glad to see him again this year. 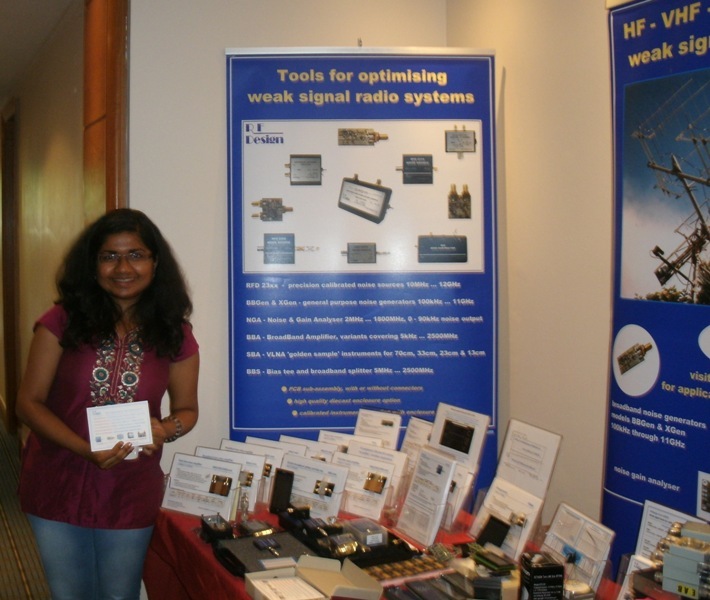 As usual the stand was packed full of precision calibrated noise sources, low noise ampifiers, noise gain analysers and other equipment for frequencies up to 11 GHz. 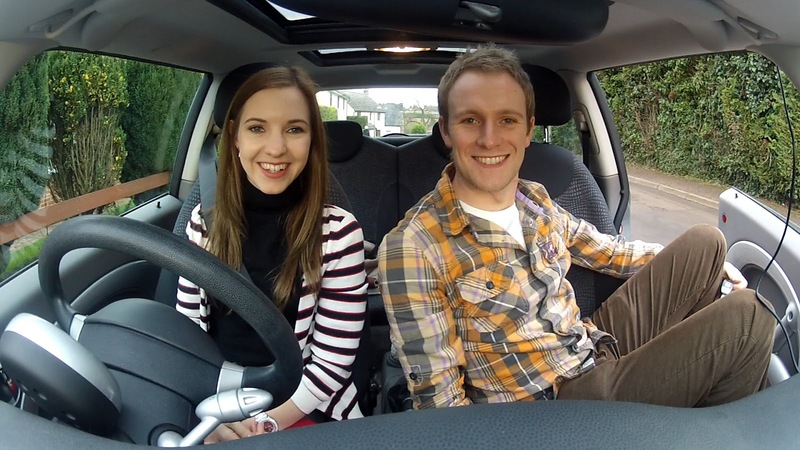 The members of Team STRATODEAN, Cassie Phelps and Mark Ireland, will be giving a web streamed presentation on their High Altitude Balloon project to the AMSAT-UK International Space Colloquium on Saturday, July 20. The event takes place at the Holiday Inn, Guildford, GU2 7XZ, UK and is open to all. 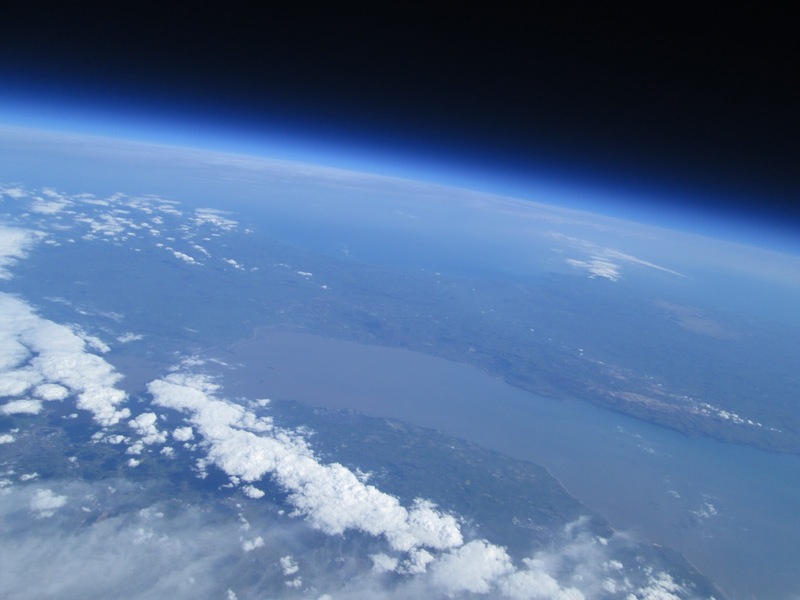 The STRATODEAN team have sent high altitude weather balloons complete with payload from the Forest of Dean up to the edge of space (approx. 34 km up into the Stratosphere). Each balloon was equipped with a camera and video recorder as well as GPS and a 434 MHz telemetry transmitter running 50 bps, 350 Hz shift, ASCII. The transmitter enables the balloon to be tracked during its flight and then located once it has burst and returned to earth with the help of a parachute. Their first balloon STRATODEAN One launched on April 21, 2013 followed by STRATODEAN Two on May 18, 2013 and they managed to capture some stunning pictures and video. For those unable to get to the Colloquium all the presentations on the Saturday and Sunday should be broadcast live on the web thanks to dedicated BATC volunteers on their Live Events page at http://batc.tv/ch_live.php?ch=3 The STRATODEAN talk is expected to start at 1:50 PM Saturday. A sample issue of the AMSAT-UK newsletter OSCAR News can be downloaded here. 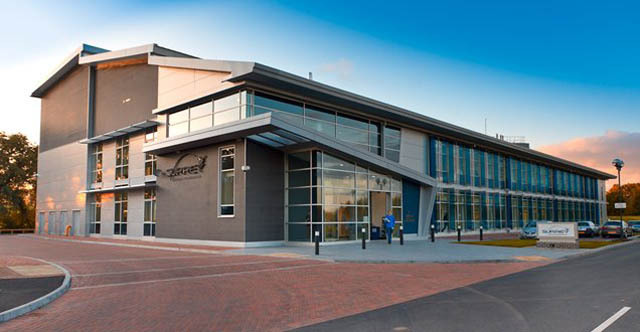 As part of the AMSAT-UK International Space Colloquium there will be two opportunities to visit the satellite facilities at the Surrey Satellite Technology Limited (SSTL) Kepler building. 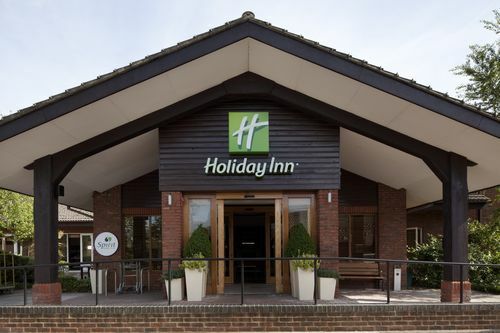 In both cases the time refers to the pick up time at the main entrance to the Holiday Inn hotel, Guildford, GU2 7XZ and each visit will last approx 1 hour. If you wish to go on one of the tours please contact Jim Heck G3WGM by email g3wgm at amsat.org ASAP with these details, including which tour you wish to go on, Fri or Sat. Responses must be received by 1100 GMT on Thursday, July 18. Sorry, but no details in advance, no visit ! The 2013 AMSAT-UK International Space Colloquium is open to all and takes place from late Friday afternoon on July 19 until Sunday afternoon on July 21 at the Holiday Inn, Guildford, GU2 7XZ, UK. 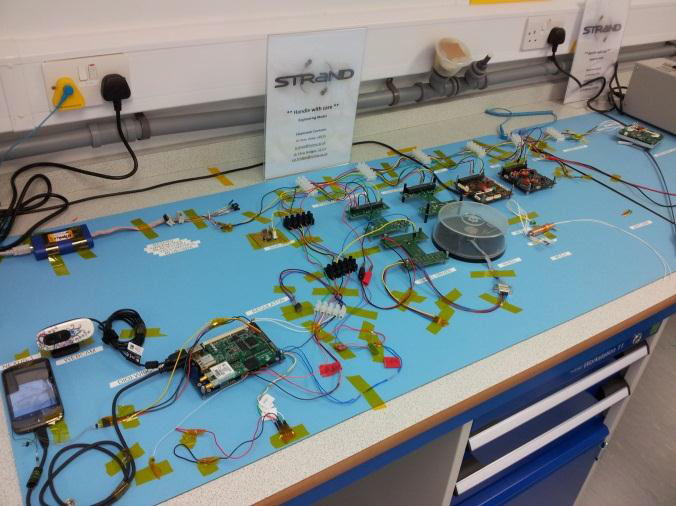 It will be preceded by an exciting “Hands-on” CubeSat Workshop. This free workshop will take place at the nearby University of Surrey on the Friday and this will be followed, at the hotel, by the usual Colloquium “Beginners Session” in the late afternoon. A number of keynote presentations have already been arranged for the Colloquium. These include Alistair Scott, the President of the British Interplanetary Society. The BIS has, over many decades, developed ideas and concepts about the future of space travel and both Patrick Moore and Arthur C Clarke were members. Alistair has had many years experience working in the space industry and will be reviewing the future possibilities for ventures into space both small and large. The BIS is presently developing one of the Sprites for the Kicksat mission and Andrew Vaudin will be presenting a paper about this and also providing a demonstration. 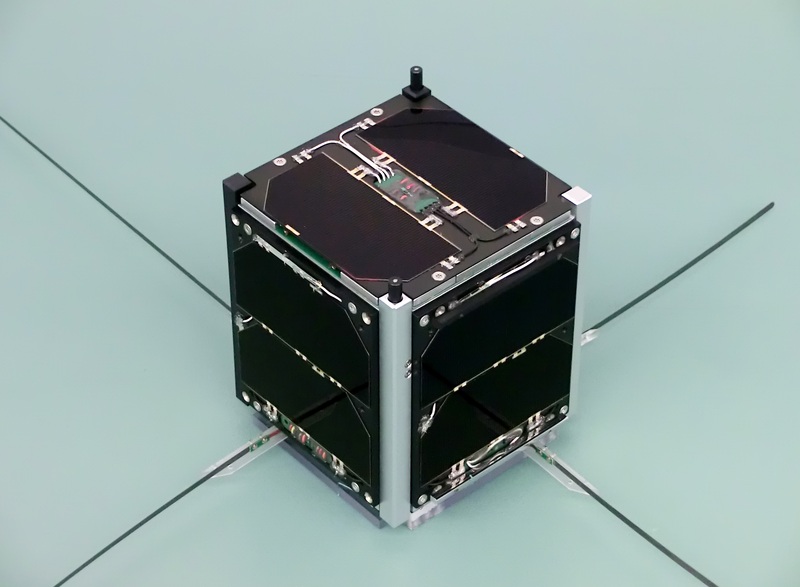 It is anticipated that both the FUNcube-1 and FUNcube-2 missions will be launched later this year and the FUNcube team will be on hand to talk about the missions and the planned educational outreach. A full demonstration of the Engineering Model, which has been performing flawlessly for almost a year, will also be provided. On the Sunday, the General Manager of the RSGB, Graham Coomber, G0NBI will be talking about the Society’s vision of the future of amateur radio and how amateur satellites can play a major part in helping to secure that future. We will also have updates on a number of the other current amateur satellite projects including HAMtv from the ISS, spectrum matters, operating methods, new products etc. There are still a few slots available for additional speakers, so if you would like to make a presentation, please contact Dave Johnson G4DPZ e-mail: dave at g4dpz dot me dot uk as soon as possible. The AMSAT-UK organising committee looks forward to welcoming both regular attendees and newcomers – you can be assured of a warm welcome and an exciting weekend. The 2013 AMSAT-UK International Space Colloquium will start late afternoon on Friday, July 19 and will run through until the afternoon on Sunday, July 21 at the Holiday Inn, Guildford, GU2 7XZ, UK. 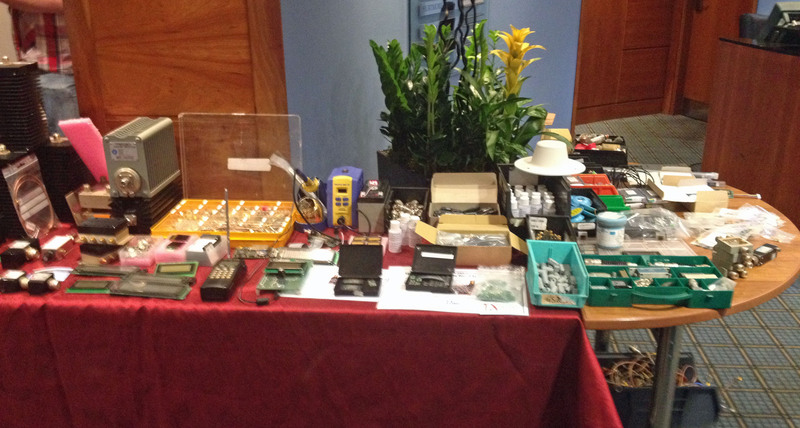 It will be preceded by an exciting “Hands-on” CubeSat Workshop which will take place at the nearby University of Surrey on the Friday and this will be followed, at the hotel, by the usual Colloquium “Beginners Session” in the late afternoon.